Since the founding of the company in 1887, AEG represents the foundation of the German Engineering, design and accuracy. Stands for excellent performance, which is a reason more why every product and service is designed and developed to be in perfect form and function. 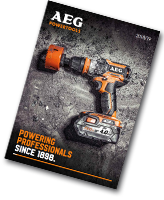 In 1898 AEG presented the first cordless drilling tool in the world. 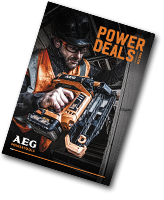 Today, AEG has an offer for a range of products which continue the proud history of the brand.